bumGenius Value Packs save you even more money. And to give you greater flexibility and options, you can chose a mix of Elemental Organic, V5 pocket nappies and Freetime all-in-ones. You can also chose your favourite colours from in stock styles. Please add your preferred colours in the comments box at the checkout. Siepinski and Chico are now discontinued. - Everything you need to become a cloth nappy supremo! 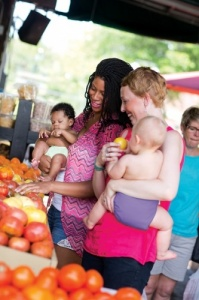 bumGenius Elementals - organic, natural fibers next to your baby’s bottom: it’s elemental! And now available in convenient starter packs and value packs. The newly improved, one-size, one-piece all-in-one (AIO) nappy is an ideal, natural solution that doesn’t compromise performance. Multiple layers of luxuriously soft, 100% organic cotton provide optimal absorbency, while gentle elastic and waterproof outer cover prevents leaks. Don't be fooled by its slimness, it's as good if not better than the rest when it comes to absorbency. The tabs that stretch for a perfect fit and combined with snap fasteners they make using cloth nappies easy. The all-in-one "no-stuff" system is an ideal solution for families with a child in day-care or family members not so keen on cloth nappies (we all have them!). It really is as easy to use as a disposable diaper. Using the snaps on the front of the nappy, adjust the size if needed, put the nappy on your baby, wash, dry and re-use. No extra steps. No stuffing. No cover required. These Elemental one-size are designed to fit most babies weighing between 7 and 35 pounds (pretty much birth to potty training). bumGenius Freetimes are a firm favourite. They are an All-In-One, which means everything is included and sewn together, so there's no stuffing like a pocket nappy. The two flaps are arranged to adjust the absorbency and to dry quickly. Fold the flaps in different ways to accommodate more absorbency in front, middle, or back. The multiple layers of stay dry lined microfibre make this a very simple to use cloth nappy, and also quite quick drying. bumGenius Freetimes and V5s feature a patent pending butterfly closure system to provide a comfortable, trim fit. This simple design makes cloth nappies as easy as using disposables. The Freetime "no-stuff" system with semi-attached inserts is an ideal solution for families with a child in day-care or family members resistant to cloth nappies! Using the snaps on the front of the nappy, adjust the size if needed, put the nappy on your baby, wash, dry and re-use. No extra steps. No stuffing. No cover required. 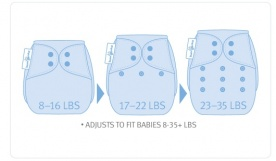 These one-size nappies are designed to fit most babies weighing between 8 and 35 pounds. This is a really simple to use all in one, once again bumGenius have proved themselves to be GENIUS when it comes to cloth nappies! - One step cloth nappy - no stuffing! - Two rows of snaps ensure a trim, bumGenius fit every time! - Gentle leg elastic contains the mess! 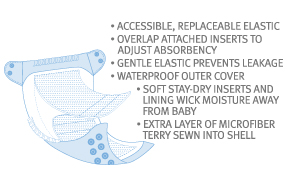 The soft, waterproof outer fabric keeps the nappy trim on your newborn or toddler. Soft, sueded inner fabric gently wicks moisture away from your baby's skin. Super stretchy, gentle leg and back elastic with rolled out casings keeps the yuk in and help to keep red marks away. • This one size nappy can be used from birth to potty - no need to buy small, medium and large sizes, you can adjust this one as your baby grows (from approx 8-35 pounds), saving you money and hassle. • Made up of a soft outer nappy with a pocket which holds the inner pad - both of which get washed each time (hence the name pocket nappy). • So easy to use, you put them on just like disposables. • Easy to wash – up to 60 degrees. Just use a little antibacterial nappy wash if you are washing at 30/40 (check out our Bio D Nappy Wash). • Easy to dry – tumble (insert only - not outer pocket) on a low heat or hang on the line. • No soaking required - leave them in a dry plastic bucket with a sealed lid or a zippered wetbag until you are ready to do a wash (usually every 2 -3 days). Check out our nappy bucket mesh bag to make it even easier from bucket to machine. • Trim, snug and comfortable stretchy tabs provide improved fit. • Wide slot makes it easy to stuff and remove the insert. 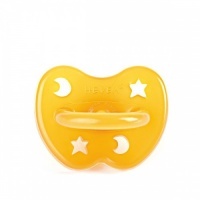 • Slot cover keeps your baby protected from wetness. • New waterproof insert stopper prevents leaking at the tummy. - Freetimes and Elementals have sewn-in inserts so there is no need to stuff the insert into the pocket nappy, saving you time. - V5s are a little more flexible in that you can easily stuff them with extra inserts if you have a heavy wetter or when your baby needs extra absorbency at night. - V5 inserts can be tumble dried, Freetimes/Elementals cannot because the waterproof outer is attached. - Freetimes have more microfleece overall for increased absorbency but even so are a slightly slimmer fit than the V5. Elementals are a surprisingly slim fit for such good absorbency. - Colours and closure options are the same for all three types. 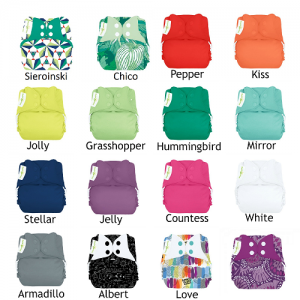 What's included in each of the Elemental, Freetime or V5 nappies? Each V5 nappy includes an outer waterproof 'pocket' and two inserts: a newborn insert for birth and a one-size insert as your baby grows. When the baby outgrows the newborn insert (usually after a few weeks), it can still be used as an overnight booster or as extra absorbency for a heavy wetter. Each Freetime or Elemental has the inserts already built into the all-in-one design. Colours are usually divided into solid colours which are usually easily available, and prints which can sometimes be available for a limited time only. Pre-wash cold. Wash hot (100F/40C) with cloth diaper safe detergent Extra rinse. Line Dry. No laundry additives. No fabric softeners. Use 1/4 cup or 60 mL bleach in the hot wash once per month. Before their first use, wash at 40 degrees one or two times without detergent - this will help increase the initial absorbency and 'fluff them up' to hold more moisture. When a nappy is dirty, remove the insert from the outer nappy (in the case of a V5) and in a DRY bucket with a lid or in a zippered wetbag until ready to wash. bumGenius are easy to wash at up to 60 degrees. You can use a little antibacterial nappy wash if you are washing at 30/40 degrees (check out our Bio D Nappy Wash) as not all bacteria is killed at less than 60. On occasion, or each time, you can also prewash cold, then do your normal hot wash. This stops urine from 'locking in' by rinsing it out first. NB: Use ¼ to ½ (¼ for high efficiency machines, ½ in regular machines) of your usual washing powder or liquid - if you use too much detergent, it will build up as residue in the nappy and decrease absorbency. Never use fabric conditioner/softener as this will also greatly decrease absorbency. Easy to dry – with V5s you can tumble the inserts on a low heat or hang on the line, the nappy outer is almost dry when it comes out of the washing machine anyway. Every now and again, wash all nappies with no detergent or leave them out in the rain to 'strip' them and help prevent washing detergent residue build up. Disposable nappy liners are thin sheets of paper that can sit inside the bumGenius nappy to help keep them cleaner after your baby does a number two. The liner can be hygienically flushed down the toilet (only one at a time) with any solid waste inside it and the nappy itself stays much cleaner for the washing machine. We highly recommend that you use nappy liners along with your cloth nappies as they will make life much easier! 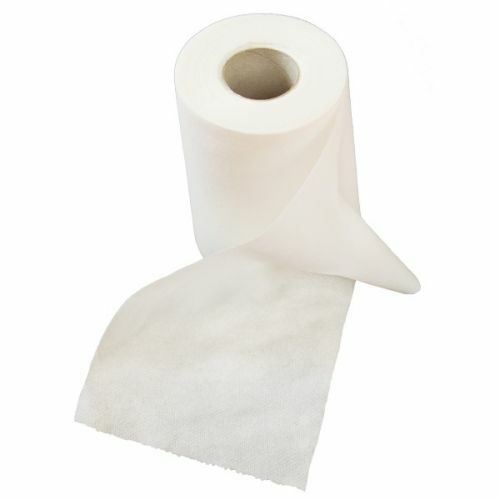 We stock 100% biodegradable liners by Popolini on a roll (suitable for newborns) or in a box (suitable for all ages). We also recommend that you use liners if you are using nappy creams so that the oil doesn't get stuck on the material affecting its ability to wick moisture away from your babies bum. You can also use reusable washable nappy liners made from fleece. Don't worry - you aren't alone, researching cloth nappies is a minefield!! If you have any questions at all that haven't been answered here, pleas drop us an email and we will do our best to help. We purchased the ‘middle genius value set’, which was a mix of freetime, pocket nappies and organic cotton; and this was our introduction to cloth nappies. We've been using these for over 1 year, since our son was approx. 1 month. We used a mix of disposable and cloth for the first 8 months, with disposable used mostly in case of emergency (i.e. forgetting to put on a wash when we hadn’t built up our ‘stash’! ), and we only use cloth nappies now. They have plenty of snaps and good elastic to ensure a snug fit, and the colours and patterns are very cute. We have a bucket to store them in at home, and put on a ‘nappy wash’ every 2nd day. We have reusable washable wet bags to store the used nappy when we’re out and about. Out of the 3 types of nappies in the pack, organic cotton takes the longest to dry on the clothes horse/line, and although it took us a little while to get the hang of tucking in the cotton after putting on the nappies (so that they don’t leak), they work perfectly. I really like the organic cotton nappies. My husband prefers Freetime nappies as they are easiest to put on (less tucking required and no stuffing). Freetime take a little longer to dry than the pocket nappies as we dry them on a clothes horse/line. The liners for the pocket nappies can be put in the dryer, and it is easy to stuff the nappies. I’m glad we bought the mix as they all have their good points and differences. Tucking, stuffing and/or folding all take a matter of seconds. Great product, excellent service and prompt delivery. Would recommend to anyone. The staff at earthmother couldn’t be more helpful. I bought the value pack 4 years ago (Sept 2014). The service provided by Earthmother was great, both in terms of guidance and advice over the phone, and in terms of delivery. In July 2018, we had our second child and the nappies are still as good as new which I find impressive. In spite of the occasional leaking, I would strongly recommend BumGenius. I prefer the V5 pocket design (with buttons rather than Velcro) which is suitable for newborns as well as toddlers (unlike Freetime all-in-one).